Shame on Breitbart Texas and Bob Price for this luke-warm, back-handed slap at the Governor. Reality isn’t based on media wish lists or election cycles. The report is a report on reporter’s association of events with election cycles, which completely disregards the actual legislative cycle. There is no mention of our State’s biennial budget cycles. And not one word about the necessity of the Governor or any leader to win the support of Legislators or the austerity imposed by our State’s Constitution when we had to balance the budget in spite of the 2003 and 2011 budget crises. 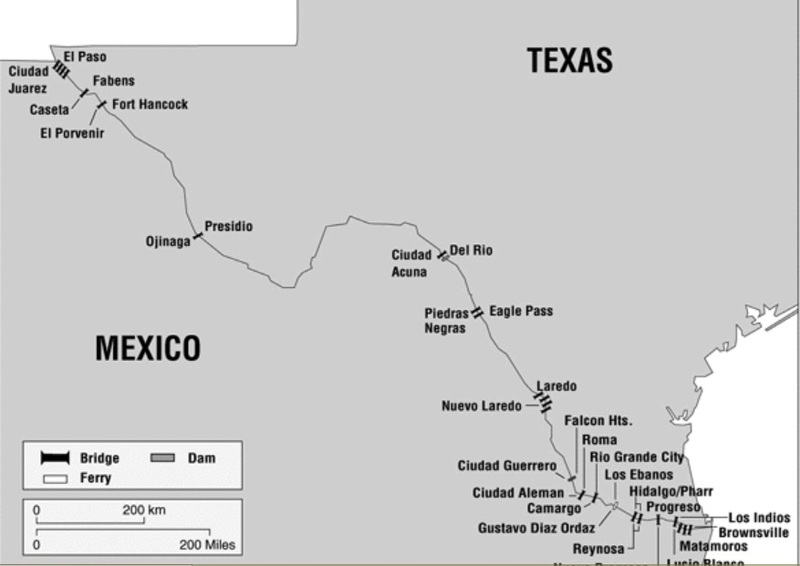 We learned that reporters were concerned that two of Texas’ law enforcement surges focused “only” on the Del Rio sector, but Mr. Price couldn’t spare the words to mention that the sector is the southern-most region of the Texas-Mexico border and includes the cities of McAllen-Pharr, Harlingen, Mission, Brownsville, and Corpus Christi – and close to half of Texas’ international bridges. And second h ighest in both border miles and apprehensions. Security of the international border is a Federal responsibility. The Feds refuse to allow States to turn back illegal immigrants at the border or round up people who over-stay their visas. They sue us for any effort they deem to encroach on ICE or Border Patrol, while burdening us with the consequences of their failure to secure the border or track visas. It’s true that we in Texas, led for 14 years by Governor Perry, did not “secure the border.” However, we – and he – did everything we could, including using Texans’ taxes to back up what the Feds were doing, even when we faced cuts elsewhere. AUSTIN – Gov. Rick Perry has asked the U.S. Department of Homeland Security to reimburse Texas $350 million to cover costs for jailing illegal immigrants. via Perry bills feds $350M for immigrant inmates – Houston Chronicle. There’s been an email going around with out and out lies about the Texas economy and half truths or lies about our Governor Perry.I worked on this last weekend, sitting up most of Sunday night and rechecking my facts and numbers this morning. #1 Rick Perry is a “big government” politician. When Rick Perry became the governor of Texas in 2000, the total spending by the Texas state government was approximately $49 billion. Ten years later it was approximately $90 billion. That is not exactly reducing the size of government. During that same period, Texas’ population increased by about 20% ( and we grow 1000 – 1300 people a day from people moving in from all over the US) and aggregate inflation over that period was about 25%. So the actual growth of government was 39% over 10 years, or less than 3% per year. #2 The debt of the state of Texas is out of control. According to usdebtclock.org, the debt to GDP ratio in Texas is 22.9% and the debt per citizen is $10,645. In California (a total financial basket case), the debt to GDP ratio is just 18.7% and the debt per citizen is only $9932. If Rick Perry runs for presi dent these are numbers he will want to keep well hidden. These are completely false numbers. In fact, Texas received a credit upgrade this week. Go to the US Debt Clock Website or Texas’ Debt Clock. I checked this morning, August 16, 2011, in order to make sure I had the correct numbers: Texas has a debt to GDP ratio of 18.5% and a debt per person of $8345 – down from last week’s $8930. The truth is that Texas is second lowest State in debt compared to personal income. Half our our debt is bonds voted on by the People at election time. The other half is mostly “self-supported debt” – like student loans – that is paid off when people pay interest on the loans. Texas has decreased “non-self-supported debt” by 16%. #3 The total debt of the Texas government has more than doubled http://www.politifact.com/texas/statements/2010/mar/04/bill-white/white-says-texas-debt-has-doubled-under-perry/ &nbsp; since Rick Perry became governor. So what would the U.S. national debt look like after four (or eight) years of Rick Perry? The “more than doubled” number includes city, county, and school districts — not just State debt. See # 2 and the link that notes that the People voted to allow TXDOT to borrow money (Bonds) in 2001 and voted to sell bonds for the creation of the Texas Cancer Prevention and Research Institute. Everyone should quit voting for more debt when those amendments come up at election time! #4 Rick Perry has spearheaded the effort to lease roads in Texas to foreign companies, to turn roads that are already free to drive on into toll roads, and to develop the Trans-Texas Corridor which would be part of the planned NAFTA superhighway system. If you really do deep research on this whole Trans-Texas Corridor nonsense you will see why no American should ever cast a single vote for Rick Perry. The Legislature stopped the above, Perry signed the Bill. But, the Legislature introduced Regional Mobility Authorities, etc., which can make these deals. It was on the ballot and the People of Texas voted to pass the Constitutional Amendment to allow borrowing in the form of bonds in 2001. Perry put SB 18, a bill to protect private property rights from the misuse of eminent domain, on his “Emergency” fast track this year and signed the Bill into law at the first Regular Session. That law limits the use of eminent domain to public use, requires a formal “bona fide offer” process, mandates a market price and allows the original owner to buy the land back in 10 years for the LESSER of either the original price or the current market price if it’s not used for the stated purpose. #5 Rick Perry claims that he has a “track record” of not raising taxes. That is a false claim. Rick Perry has repeatedly raised taxes and fees while he has been governor. Today, Texans are faced with significantly higher taxes and fees than they were before Rick Perry was elected. These are cigarette taxes, user fees, etc. that were raised when the school property tax was lowered in 2006. #6 Even with the oil boom in Texas, 23 states have a lower unemployment rate than Texas does. And 26 States have higher rates! We are increasing jobs faster than most and have produced more NEW jobs than all the other States put together. Our unemployment rate is impacted by our illegal immigrants and legal immigrants. 1000 people come in legally each day. If the rest of the US were adding jobs at the rate that Texas is, the US unemployment rate would be 7.9%. #7 Back in 1988, Rick Perry supported Al Gore for president. In fact, Rick Perry actually served as Al Gore’s campaign chairman in the state of Texas that year. Al Gore was Pro-life, Pro-marriage, and Pro-Israel in 1988 – he got most of his grief in that race from opponents backing Jesse Jackson because he was Pro-Israel. Governor Perry’s dad was a Democratic County Commissioner. Governor Perry said in 1985 that he was going to make the Democrats move right. By 1989, he changed Parties. His home County still voted Democrat in 2006. #8 Between December 2007 and April 2011, weekly wages in the U.S. increased by about 5 percent. In the state of Texas they increased by just 0.6% over that same time period. Texas’ annual wages have grown significantly faster than other big States. We didn’t lose jobs in the first place. The false number proves that there’s lies, darned lies and statistics. (That, and don’t use Rachel Maddow for your source.) It costs less to live here, too. #9 Texas now has one of the worst education systems in the nation. The following is from an opinion piece that was actually authored by Barbara Bush earlier this year…. • We rank 36th in the nation in high school graduation rates. An estimated 3.8 million Texans do not have a high school diploma. • We rank 49th in verbal SAT scores, 47th in literacy and 46th in average math SAT scores. • We rank 33rd in the nation on teacher salaries. These numbers are useless without telling us what the same numbers were before 2000. Are we better or worse than we were? They are strongly influenced by the poor performance of the school districts in the inner cities of Houston, Dallas, and El Paso, plus our border areas. It’s aggravated by the illegal aliens that are unstable or just through the State. #10 Rick Perry attended the Bilderberg Group meetings in 2007. Associating himself with that organization should be a red flag for all American voters. Governor Perry was invited to speak as the Governor of the State of Texas, which would be the 17th largest economy if we were an independent Nation. On the other hand, Margaret Thatcher was a member. #11 Texas has the highest percentage of workers making minimum wage out of all 50 states. At least they’re working and not on unemployment! Our job force and our job numbers are growing much faster than the rest of the Nation. #12 Rick Perry often gives speeches about illegal immigration, but when you look at the facts, he has been incredibly soft on the issue. If Rick Perry does not plan to secure the border, then he should not be president because illegal immigration is absolutely devastating many areas of the southwest United States. There are National Guard troops on the Border. Perry has repeatedly asked for more and recently won approval for the 1200 (we only got about 250) that have been deployed to stay longer. Read this news report from a year ago. As a direct result of the Governor alerting the Texas Republican Congressman about Obama’s plan to remove the National Guard after less than 6 months, we’ll have them longer. News report, here, from last month about the extension. He created the Ranger Recon force, sending 150 Texas Rangers (one riot, one Ranger) to the border along with helicopters and Texas Guardsmen. He demanded and got National Guard and two unmanned drones. He got the National Guard deployment extended beyond the original 6 months. Unfortunately, Texas only got 1/4 of the Guardsmen and 2/8 of the drones. Texas (with our costs from the ICE detention center detainees being dumped in the State by Homeland security, support of Katrina refugees, our natural disasters like Ike, wildfires, and tornadoes) is expected to pay for our own Guard if we want them here after September. Texas has spent $200 million a year on the cost of jailing illegal aliens that the feds bring here. We’ve spent $79 million of our own Texas tax funds on troops, helicopters. The Legislature refused to fund his virtual border, so he used money from the Governor’s discretionary fund. In some cases, local sheriffs and cities refused to cooperate. 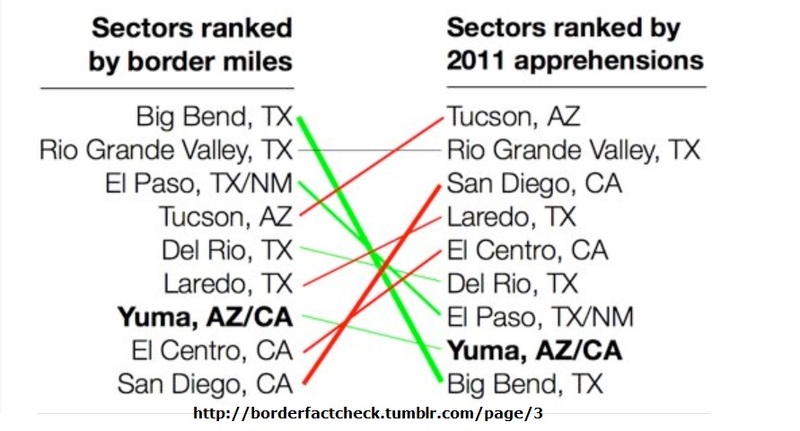 Here’s an article from January of this year showing resistance from border Sheriff Wiles. #13 In 2007, 221,000 residents of Texas were making minimum wage or less. By 2010, that number had risen to 550,000. More Rachel Maddow. AT LEAST THEY’RE WORKING!!! Do you want the Federal Government to raise minimum salary, again? Or how about a Chicago-style “living wage” requirement that runs businesses out? Gardasil is a good vaccine. The truth, is that the Legislature had already imposed mandates and had made it harder to opt out in the prior session. Governor Perry made it easier. According to a complete review by the CDC and the FDA, is that there have been no Deaths due to the vaccine. I’ve covered this subject in an earlier review at this blog. Yesterday, Lieutenant Governor David Dewhurst threw his hat in the ring for Senator Kay Bailey Hutchison’s soon to be vacated seat. The media keeps telling us that Governor Perry will soon declare his candidacy for President. So, if Perry and Dewhurst win their (speculative) primaries, then in November, how would the New Governor be chosen? Would Dewhurst resign and let us appoint Abbott, or would we wait ’til the middle of November to start the succession, would we need a special election, or what? And, BTW, according to the 1st Amendment of the Constitution of the United States, it’s “Freedom OF Religion,” or “the free exercise thereof,” not “Freedom From Religion.” thought you would want to know, since you’re suing Governor Rick Perry over the Response prayer gathering on August 6th, at Houston’s Reliant Stadium.